We demonstrate a compact frequency-stabilized laser at 1064 nm using the Doppler-free saturation absorption spectroscopy of molecular iodine. The achieved laser frequency stability and linewidth are 5.7×10−12 (corresponding to an uncertainty of the laser frequency of 1.6 kHz) and 400 kHz, respectively. 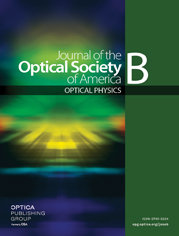 The developed frequency-stabilized laser can be used as a pump laser for wavelength conversion from the visible to telecom (or vice versa) to connect quantum memories utilizing nitrogen-vacancy centers in diamond at remote nodes in fiber-based quantum communication.